Today's article is about Hollywood and asks the question is Hollywood broke. Rick Dixon from Cambridge examines very briefly Hollywood shows from the 1990′s. Two shows worth mentioning are The Adams Family and The Brady Bunch are all entertaining shows that have come from Hollywood but there are some things about these shows you ought to know about. Find out everything you need to know by going over to Stirring Trouble Internationally. Millennium closes and we reflect on television shows that had great stories and these examples are used to help us understand just what is going on. 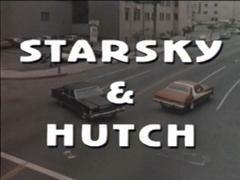 Read all about Starsky and Hutch , Charlie’s, MI6 and many more. Rose-tinted glasses like so many old TV shows are something that represents the narrative of a story, today's story to find out more about these subtle suggestions you should go over to Stirring Trouble Internationally and read the full article. If you do this then this will make much more sense to you. Films based on books aside, have a think about how many movies in the last five years have been remakes of existing films. Hollywood audience are all ages and the age groups are getting much more varied. The Holy Grail in the movie industry is still yet to be found and I am sure you will find out everything you need to know over on Stirring Trouble Internationally. Fairy Tales coming to a cinema near you. The exec that hit on this particular avenue of exploitation probably got double his cocaine bonus this month. Two films based on Snow White just in the last year. This month sees the release of Hansel and Gretel: Witch Hunters. Hansel and Gretel for grown ups. Is the movie industry really bankrupt in Hollywood? Jack the Giant Slayer is on national release the first of March 2013 in cinemas around the country. A new fairytale version of the classic Jack and the Beanstalk. After watching this film we should be able to determine how broke Hollywood actually is. Hollywood is running out of ideas so it's coming for your childhood.